Here’s a quick tutorial on how to reset the TPMS sensors on your Ford using the Ford TPMS Trigger Tool. Before you start, make sure your tires have the proper amount of air. To get the Sensors in the learning mode. Just follow this on/off key sequence. 1. Start with the key in off position and press and release brake pedal. 2. Turn the key to on position (not start) and after the first chime turn it to the off position. 3. Turn the key to on position (not start) and after the first chime turn it to the off position. 4. Turn the key to on position (not start) and press and release brake pedal and turn key to off position. 5. Turn the key to on position (not start) and after the first chime turn to off position. 6. 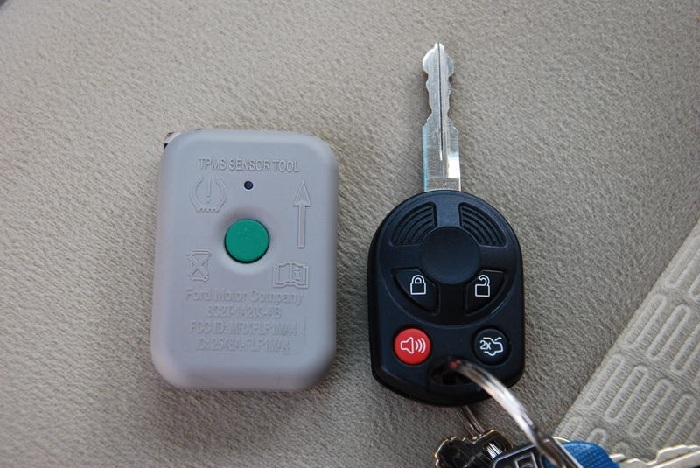 Turn the key to on position (not start) and after the first chime turn to off position. Take your sensor and hold it opposite the valve stem and point the sensor to the inside of the rim and press the button. In approx. 5 seconds the sensor resets, the horn will chirp and your the message center will notify you to train the next sensor. If the Training is not successful, the horn will chirp twice and you must repeat the training process. That’s it! Takes less than 2 minutes to do the entire process. Looking to Retro-Fit TPMS sensors to your motorcycle? We believe safety should always come first when operating a vehicle, whether it be a sedan, big-rig, or motorcycle. TPMS Directnow offers a handle bar mount motorcycle tire pressure monitoring system that is compatible with most makes and models. This tire pressure monitoring system mounts right in front of the rider and has high impact alarm LEDs notify the rider of any problems in real time so immediate action can be taken. Also measures tire pressures and tire temperatures and has alarms that can be set by the operator for different front and rear tire settings. Sensors weigh 10 grams and batteries can be replaced and mount directly on tire valves. Easy Installation that takes less than 10 minutes. Monitor is powered by a single AAA battery. Are you looking to retro-fit a tire pressure monitoring system to your RV, Truck, or Trailer? 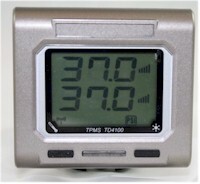 We now offer a TPMS system for RV’s, Trucks, and Trailers that run on up to 22-wheels. RV/Trailer/Truck tire pressure monitoring system monitors both pressure and temperatures for motor homes and trucks along with towed vehicle or trailer if needed. monitor that can handle up to 22 wheels at up to 180psi. complete with Lithium rechargeable battery. 4 Sensor locking screws, wrench and batteries. Alarms can be preset by the operator so visible and audible alarms can warn the driver of pending deflations, over pressures and high temperatures etc. The alarms and monitoring are sent wirelessly real time to the cab allowing the operator to monitor tires that are out of their vision. This system has wheel sensors with extra power to reach monitor to sensor distances of up to 45 feet. SIEMENS VDO is an OE (original equipment) manufacture of Tire Pressure Sensors for many car brands. Tpms sensors vary by year make and model, operating on different frequencies. Our OE TPMS Service Parts Program includes everything technicians need to properly service TPMS-equipped vehicles with OE specific replacement parts, from complete sensor assemblies to service kits that include valve cores, valve nuts, seals, seal washers, valve caps, valve stems and screws as well as stainless steel wheel bands for valveless sensors. We offer broad coverage for domestic, European and Asian vehicles. VDO TPMS replacement parts are OE-engineered and validated to deliver OE fit, function and reliability. They are made in ISO-certified facilities to the same quality standards as the parts supplied to automakers worldwide. The OE specific replacement parts line consists of valve-type sensors, banded sensors, wheel bands and service kits forAcura, Audi, Buick, Cadillac, Chevrolet, Chrysler, Dodge, Ford, GMC, Honda, Hyundai, Jaguar, Jeep, KIA, Land Rover, Lincoln, Mazda, Mercedes-Benz, Mercury, Mitsubishi, Pontiac, Saturn, Suzuki, Toyota, Volkswagen and Volvo applications from 2004-2011. Feel free to email our customer service department with any questions regarding fitment. 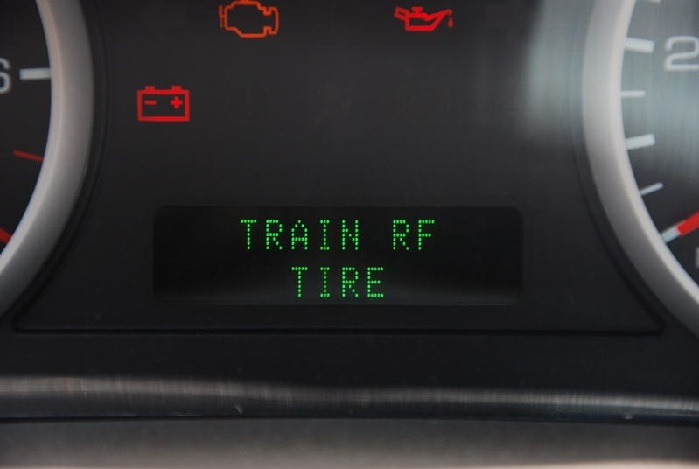 Tire Pressure Monitoring Systems are Mandatory on All New Vehicle Models in the European Union as of 2012. Tire Pressure Monitoring Systems will be mandatory on ALL (new and old) vehicles in the European Union in 2014. The BERU Tire Safety System (TSS) satisfies the technical requirements for greater safety, lower fuel consumption and reduced CO2 emission in an optimal manner. As the first directly measuring system, the BERU TSS is the first of its kind to have been factory-installed by leading manufacturers as standard or as an optional extra since 1998. It currently provides greater safety in vehicle models from Alfa Romeo, Audi, Bentley, BMW, Ferrari, Lamborghini, Maserati, Porsche and VW. Now in its third generation, the system consists of a compact control unit with integrated antenna and four wheel electronic units. With this latest development, the number of components to be installed has been reduced to a minimum, providing an even better price/performance ratio for automakers. 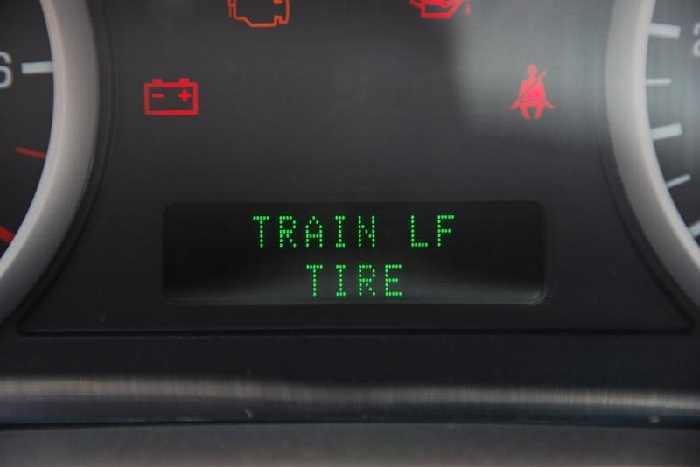 The system notifies the driver of sudden as well as slow loss of tire pressure and protects against irksome flat tires or accidents that can result from incorrect tire pressure. It monitors tire pressure while driving and informs the driver of a deviation of as little as 0.2 bar from the specified tire pressure by means of a vehicle model-specific control and display module. BERU concentrates its efforts on the development of directly measuring systems for tire pressure monitoring. Compared to indirectly measuring systems, the BERU TSS is characterized by considerably better measuring accuracy and greater immunity to interfering signals. Using special sensors, the TSS measures the air pressure directly at each individual wheel. In contrast, indirectly measuring systems calculate the tire inflation pressure using data derived from existing ABS sensor readings, and respond slower, only after a pressure loss of 25 to 30 percent. Drivers who rely on their indirectly measuring tire pressure monitoring system are often unknowingly driving with much lower tire pressures than drivers without a tire pressure monitoring system who check their tire pressure regularly. According to the new EU requirements, the details of which are still pending, such systems must send a warning signal to the driver at a pressure loss of 20 percent in the case of a flat tire, or when the tire inflation pressure drops below a minimum pressure of 1.5 bar. 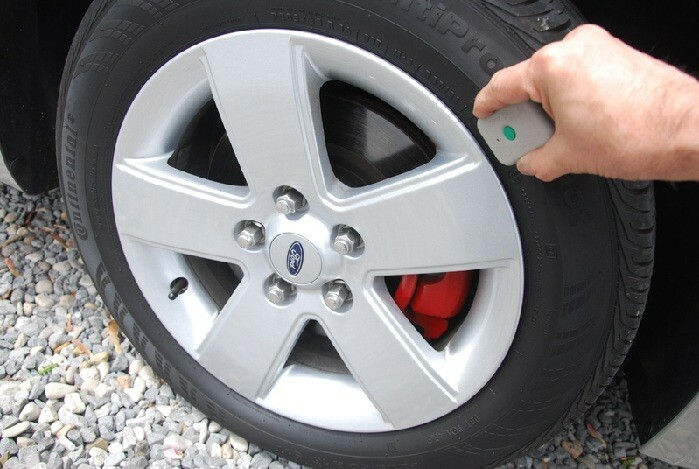 Since indirectly measuring systems cannot measure an absolute tire pressure, but rather record a pressure loss by means of the difference in wheel rpm, such systems must be calibrated absolutely correctly by the driver each time air is added to the tires in order to achieve the required measuring accuracy. Errors when performing this procedure can easily affect proper operation of the system. Honored already in 2007 with the Allianz safety award, the BERU TSS not only contributes to greater security in road traffic; it also helps to lower fuel consumption and thus reduces CO2 emissions. Inspections have shown that currently every third car in the European Union is being driven with tires with low air pressure, as tires gradually lose from three to six percent pressure per month and, without TSS, this loss of pressure goes unnoticed by the driver. Con-sequence: If, for instance the tire pressure is low by 0.6 bar, an automobile uses up to 4 percent more fuel. 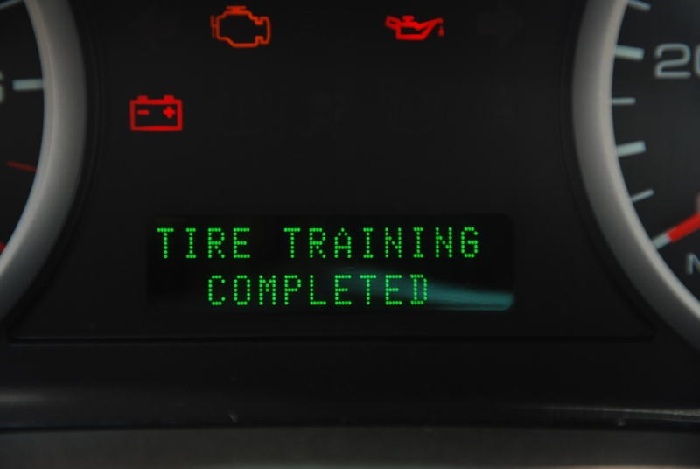 Moreover, the service life of the tires is reduced by up to 45 percent as a result. According to a study conducted by the Federation Internationale de l’Automobile (FIA) in cooperation with tire manufacturer Bridgestone, about eight billion litres of fuel are wasted worldwide per year due to improper tire pressure. This corresponds to an additional CO2 output of 18.4 million tons per year.